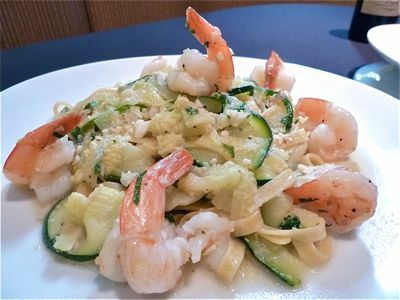 This Pasta Recipe Shrimp Recipe was submitted by a reader of the website. The Pasta Shrimp Recipe was put to the ultimate test. I made it and served it to the restaurant guests. Karen, you now have a real restaurant recipe! The guests loved your recipe. Karen noted that her recipe calls for skim milk and part-skim Ricotta cheese to help reduce the calories in the meal. An added bonus without the loss of the delicious factor. There you have it! Try your restaurant recipe from Karen. She said this recipe has been a top secret family recipe but decided to share it because I was publishing my favorite restaurant recipes. 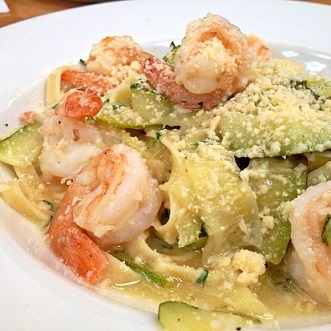 Enjoy you pasta shrimp recipe and the company of those you share it with! "You can barbecue it, boil it, broil it, bake it, saute' it ...pan-fried, deep fried, stir fried. There's pineapple shrimp, lemon shrimp, coconut shrimp, pepper shrimp, shrimp soup, shrimp stew, shrimp salad, shrimp and potatoes, shrimp burger, shrimp sandwich ...."